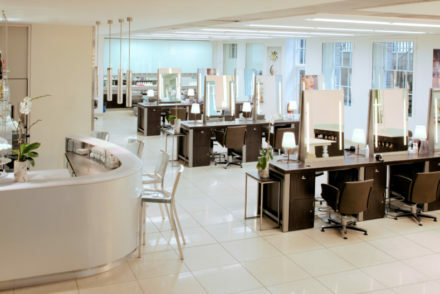 Here is our pick of the best beauty products for mums-to-be. Check out SLOAN! Baby in November’s SLOAN! for more mother and baby products recommended by celebrity life coach Sloan Sheridan-Williams and the SLOAN! team. 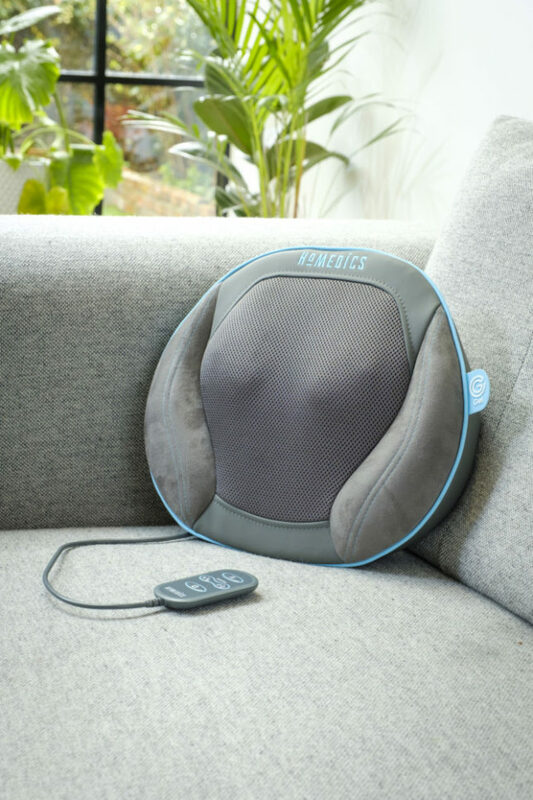 Health and wellbeing expert HoMedics has announced the launch of Gel Massage Therapy – the next generation of wellbeing technology which adds the ‘real feel’ of a massage therapist to shiatsu products like the new Gel Shiatsu Massage Pillow. 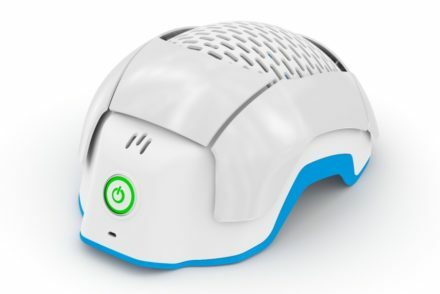 After years of development and testing HoMedics has introduced a massage with a soft-but-firm ‘real feel’ where the gel material mimics the touch, sensation and accuracy of the human hand without causing discomfort sometimes associated with harder massage tools. The palm-like feel of a massage has been captured in the new super soft gel nodes which rotate, knead and roll over tight muscles making this product ideal for expectant and new mothers needing to release tension in their body and to help unwind and calm the mind. The Gel Massage Shiatsu Pillow has multiple uses including legs, lumbar and shoulders with a heat option, remote control and compact design for portability meaning you can enjoy these benefits both any time and anywhere. HoMedics Gel Shiatsu Massage Pillow is £99 available from HoMedics, Argos, Boots and Amazon. Ermana’s Soothe Mama fragrance-free skincare range for expectant and new mums offers a plant-based alternative for discerning ladies who want to know exactly what they’re putting on their skin. The Ermana Soothe Mama Gift Set (£44 from www.ermana.co.uk) includes Soothe Mama Balm – a rich blend of natural cocoa, shea and coconut butters which soothe and hydrate with sweet almond oil and beeswax to moisturise and condition the skin. It can be used as an oil cleanser, a soothing hand cream or for any areas of dry skin in need of some TLC. 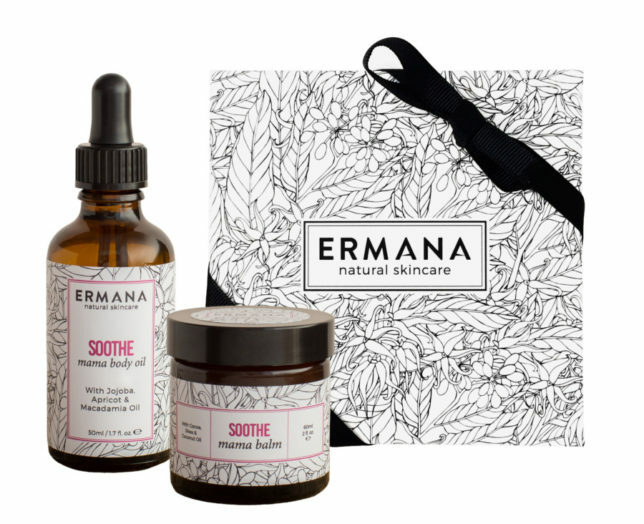 Also in the Ermana Soothe Mama Gift Set is the Soothe Mama Oil – a luxurious blend of nourishing plant oils packed with natural vitamins, minerals, antioxidants and omega oils essential to hydrate the skin and to help prevent stretch marks. It’s suitable for all skin types and can be used as a face and body oil. With the highs and lows of pregnancy, skin can become tired looking and dull. IMAGE Skincare AGELESS total resurfacing masque is a micro-exfoliating masque that maximizes exfoliation while minimizing the appearance of dark spots. It rejuvenates skin’s surface with a blend of Glycolic, Lactic and Salicylic alpha hydroxy acids and smooth micro-crystals that gently dissolve and slough away dead skin cells. Mixed with any cleanser, this boost its exfoliating properties, or use on rough skin on the body such as elbows and knees. It’s also a great product for oily or acne-prone skin with Bearberry extract, Papaya extract and Hyaluronic acid to nourish and rejuvenate the skin. Institut Esthederm has launched Intensive Hyaluronic Eye Serum – the first eye contour serum with a hydra-plumping serum texture which directly targets the tear trough area and is ideal for use in conjunction with any other eye care. The eye contour serum is a revolutionary cosmetic alternative to injecting hyaluronic acid into the tear trough, and provides effective treatment for dark circles, puffiness and fine lines making it a must for expectant and new mothers with tired puffy eyes. 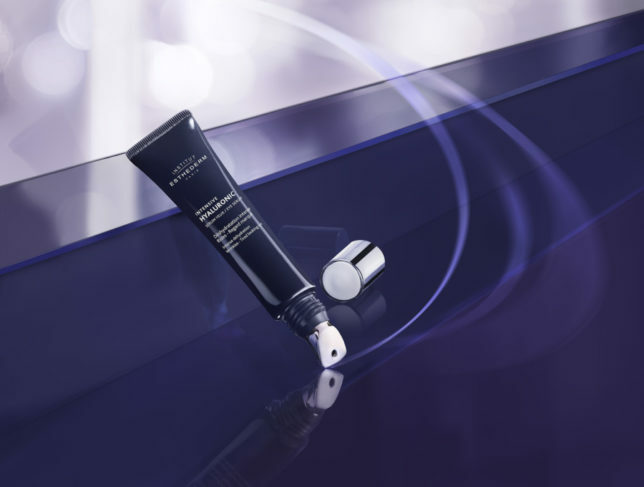 The serum also has a ‘cooling’ Zamak Precision Applicator which helps stimulate microcirculation. £33 available from Feel Unique. Papaya Renew is a light, non-greasy and fast absorbing cream that helps to reduce the appearance of scars & stretch marks and firm and tighten stretched skin. Renew’s unique and proven ingredients work to repair & nourish dry and damaged skin, featuring a combination of skin loving ingredients such as Gotu Kola (Pennywort) Tamanu Oil, Papaya, Chamomile and Almond, Macadamia and Rosehip Oils. We recommend applying 2-3 times daily using circular motions to increase circulation to the desired area and help the healing process and using the cream for at least 4 weeks if not more to achieve the best results. P’URE Papayacare RENEW Cream is £17.99 available from Holland & Barrett. For more great product suggestions for mums-to-be, nursing mothers and babies, check out the SLOAN! Baby section in the next edition of SLOAN! out soon.